This Classical Revival style building has two stories, an asphalt shingle roof, and is intact. It has a 5-bay street façade, wood frame and a flat roof with an encircling balustrade. There are modillions on the overhanging eaves of the wood clapboard siding. There are paneled corner pilasters and wood clapboard siding. There are intact 6-o-1 windows with lipped window headers on 1st floor. There is a 2-story rear ell with a small brick rear wall chimney. The Left side of the house has a flat-roofed entrance porch, with a balustrade, paneled pillars & matching pilasters. Stanford White died in June of 1906–it is unlikely that he designed any part of this house, though perhaps features of it were based on his earlier designs; there was a previous house located on this site per 1875 Map (labeled “G.O.Peck”) & on 1893, 1898, 1905 & 1911 Sanborn maps; the house could have been constructed as early as 1912, but also somewhat later. Built as a summer home for Harley Procter, of the firm of Procter and Gamble, the house is said to have been designed to resemble a bar of Ivory Soap. The Procters occupied the house for just a short time, selling it in 1919 to Graham Root, who used it as a real estate office. Subsequent uses included a charm school in the 1930’s, a guesthouse, and office space. In 1942 it became Gateways Inn, by which name it is still known. In the 1970’s and 80’s it was owned by Gehard and Lilliane Schmid and was purchased by Vito Perulli on June22, 1988. Current Gateways Inn owners (as of June, 28, 1996) are Fabrizio Chiariello and Rosemary MacDonald Chiariello. 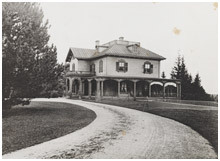 Ventfort Hall, at 104 Walker St. was built by George and Sarah Morgan as their summer home. 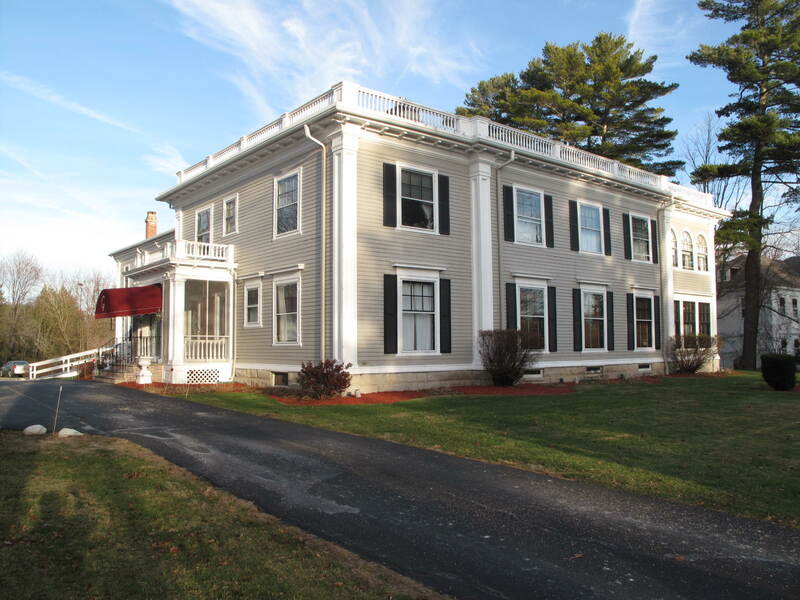 It is an imposing Jacobean Revival mansion that typifies the Gilded Age in Lenox. 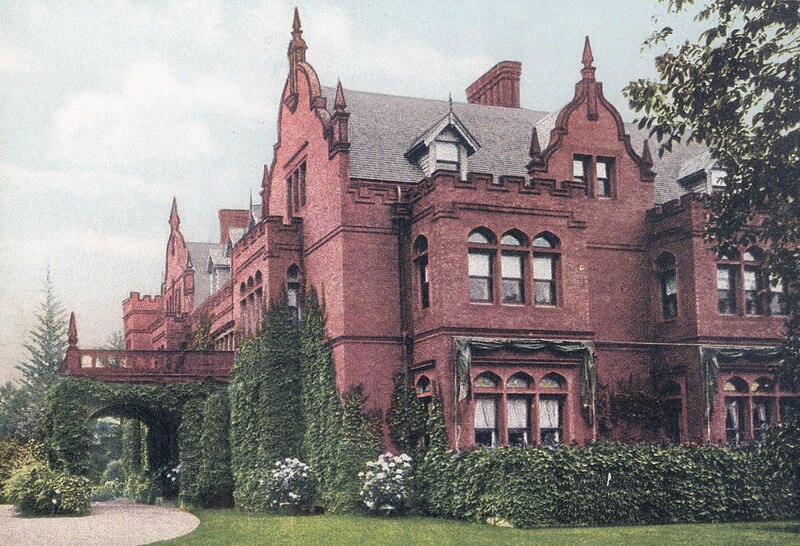 Sarah, the sister of J. Pierpont Morgan, purchased the property in 1891, and hired Rotch & Tilden, prominent Boston architects, to design the house. It replaced an earlier house named Ventfort on the same location. The original Ventfort was owned by the Ogden Haggerty family of Boston. Their daughter, Annie Haggerty Shaw, married Robert Gould Shaw, who led the Mass 54th (the first African American regiment as portrayed in the film “Glory,”) during the Civil War. Now on 11.7 acres, Ventfort Hall was originally the centerpiece of a large landscaped garden of 26 acres. 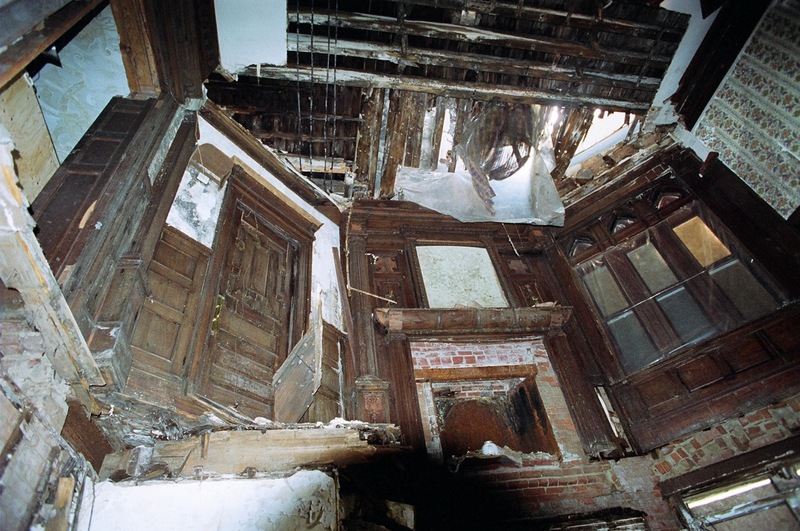 The mansion, constructed of brick with brownstone trim, has an impressive porte cochère covering the entrance while the rear of the house, which once had a long view to the south of the Stockbridge Bowl and Monument Mountain, has a wood veranda along its entire length. Described at the time of its completion as “one of the most beautiful places in Lenox,” the house had “28 rooms, including 15 bedrooms, 13 bathrooms and 17 fireplaces.” Typical of the period, the interior features a soaring three-story great hall and staircase with wood paneling detailing. 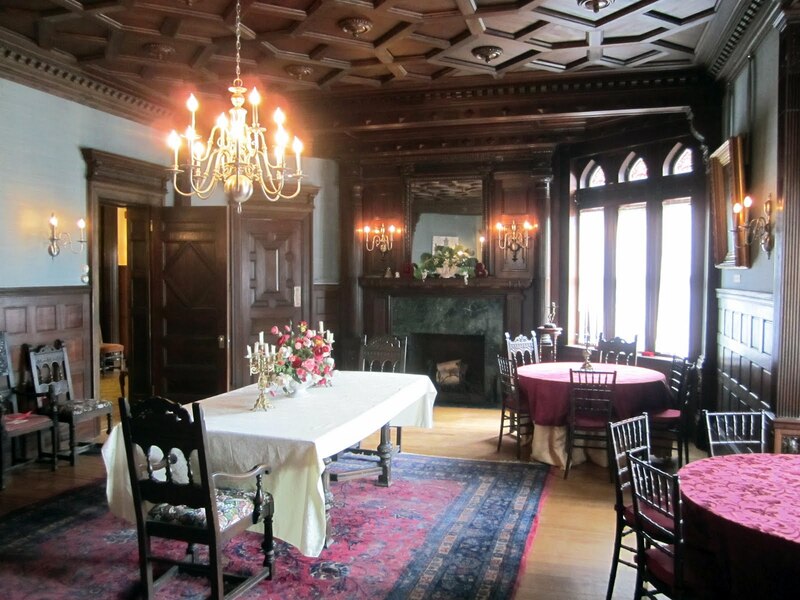 Other rooms include an elegant salon, paneled library, a dining room, a billiard room and bowling alley. It was designed with all the latest modern amenities, numerous ingeniously ventilated bathrooms, combined gas and electric light fixtures, an elevator, burglar alarms and central heating. The property contained several outbuildings, including two gatehouses, a carriage house/stable and six greenhouses. 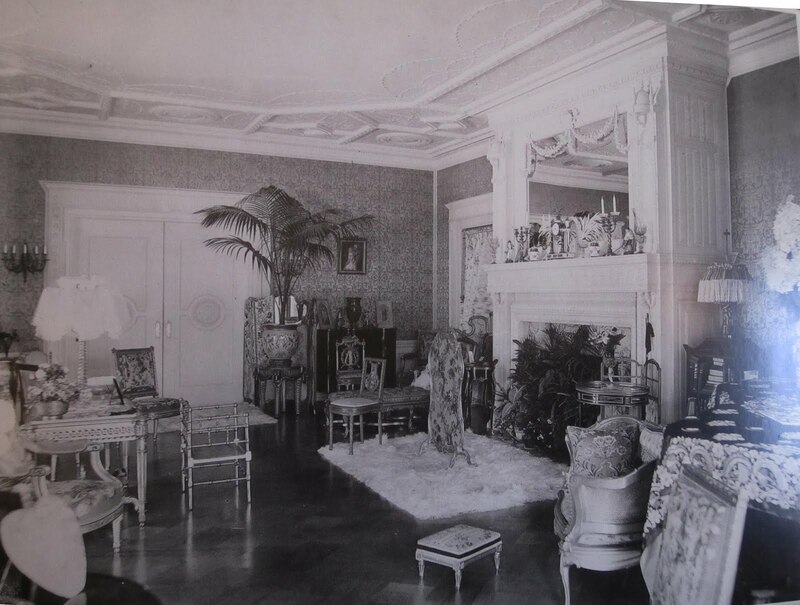 After the deaths of both Sarah and George Morgan, the house was rented for several years to a young widow, Margaret Vanderbilt, whose husband, Alfred Gwynne Vanderbilt, had died on the Lusitania. In 1925, W. Roscoe and Mary Minturn Bonsal purchased the house after seven years as tenants. Bonsal, a prominent figure in the expansion of railroads throughout the southeast, built the first cross-state railroad in Florida and served as president and treasurer of the North & South Carolina Railway and the South Carolina Western Railway. 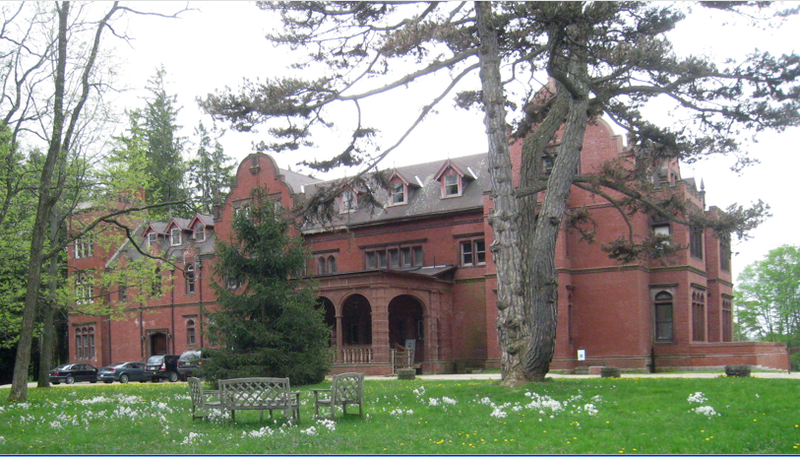 After the Bonsals sold Ventfort hall in 1945, the house had a series of owners and was used as a dormitory for Tanglewood students, a summer hotel, the Fokine Ballet Summer Camp and housing for a religious community. In the mid-1980s the property was sold to a nursing home developer who wanted to demolish the building. In response to this threat, a local preservation group, The Ventfort Hall Association (VHA), was formed in 1994. 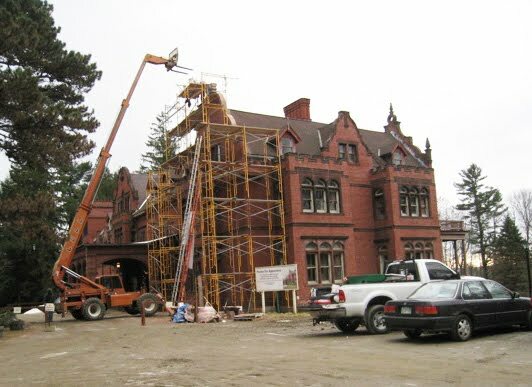 On June 13, 1997, with the help of many private donations and loans, and with a five-year loan from the National Trust for Historic Preservation, VHA purchased the property and has extensively restored the façade, first and second floors. The development of New England towns explains much about their current form. Massachusetts towns, including Lenox, have unique compactness not seen in other areas. Although the design included religious elements, it also foreshadowed developments in both populist democracy and modern capitalism. The original Puritan settlers of Massachusetts had come, in many cases, from town living in England. More importantly, community worship was a critical component of their religion. And, as a practical matter, an exchange of services was essential for harvesting, childbirth, etc. Also, although unstated, small populations provided the opportunity to keep an eye on your fellow residents. A key component of what was allowed/encouraged was that each town was to have access to community worship. Generally this meant town boundaries would rarely exceed six miles square, and that towns were not granted the rights of a town until they had settled 50-60 families. Also, Puritanism was theoretically somewhat communal and otherworldly. Allegedly they were members of the elect who were to be focused on the next world such that display of wealth in this world would have been inappropriate. The earliest towns were almost socialistic in distributing land based on family size. By the time Lenox was founded much of the Puritan influence would have faded but the bias toward equality in town design lingered. Initial lots were to be of sufficient size to maintain a family, and often there was a ceiling on how much one family would occupy. This was also practical since (other than some parts of the Connecticut River Valley) the hilly, wooded lands were hard to clear and did not lend themselves to mass, single crop planting. This equalitarian town design was in contrast to the direct grants of large estates found in New York and most other colonies. Set up expenses might include surveying, buying land from the Indians – in some cases paying settlers or giving land away, in some cases (as in Lenox) paying the Puritan Proprietorship (later royal government), etc. Often (and this was true in Lenox) some of the acerage of the prospective town would have been purchased by or awarded to absentee investors. The original proprietors (who often became influential in the affairs of the new town) would make profit later when undistributed lands were sold — presumably at a much higher value when surrounding an established village. Initial investors would have had allocations of undeveloped/unsold equal to their initial investment. Population was exploding and in an agricultural/commodity based economy, land was wealth. As a result, new proprietorships were something like a modern IPO, even people of modest means wanted to get in on the ground floor to get a piece of the initial allocation – hopefully enough to not only support their current family but to have enough to set up their sons from unallocated lands. Some proprietors (as was the case in Lenox) were buying land purely for investment, others were buying to settle. In some proprietary structures, hard-working settlers could get in on this highly desirable ground floor simply by showing up and meeting the requirements to clear land, build a shelter and contribute to hiring a minister and other communal goals–think employee #2 options in modern entrepreneurship. In the early days, proprietors would vote on who could become a new resident both for financial and religious reasons. By the time Lenox was founded the requirements to be accepted for residency were less stringent and generally were just to prove you wouldn’t become a burden to the town. In some cases these proprietors/investors were on the general court or other government bodies granting charters and were on the lookout for investment opportunities (apparently conflict of interest had yet to be invented). They might be wealthy individuals (see Moving West -William Pynchon) or, much like today’s serial entrepreneurs, holders of unsold land in multiple towns or potential town sites, This was true of several of the proprietors of Lenox – several of whom also appear as proprietors in Stockbridge, Great Barrington, or Pittsfield. Some early town proprietorships were more communal or religious (i.e. 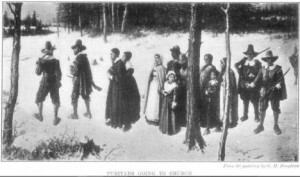 Stockbridge or some towns in Connecticut established by religious groups who disagreed with the Puritan hierarchy in the Massachusetts Bay Colony). Some new towns were formed, much like a modern co-op, when available land had run out in an existing town and a group split off to en mass move to and form a new town. 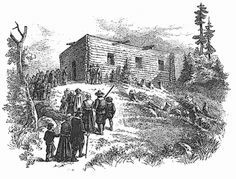 However, they came together, these initial proprietors (both resident and non resident) had, like a modern corporation decisions to make about roads, unsold lands, approval of new settlers, building the required meeting house, etc. So, the original town meetings would have been more like a shareholders meeting – and voting would have been limited to investors. By the time Lenox was founded the functions of town management (of concern to all residents) and land division (of concern to the investor/owners (who might or might not be residents) had been separated and more clearly defined. The requirements to participate in these discussions and decisions about town management changed over time. 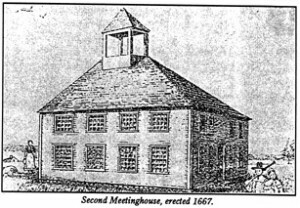 Early towns limited town meetings to investors, later to investors and members of the Church, later to large property owners who may or may not have been initial investors. Eventually town meetings became less focused on investors (who might have shareholder meetings separately) and became more focused on residents with the varying but limited restrictions on who should participate and voila – town meeting the most democratic form of government in America. The town form of government we know today was universal by the days of the early republic. Although the Puritan influence had faded by the time Lenox was established Puritan influence had faded but the heritage is still visible in the size and layout of the town. All the other elements of the settlement mix – government sale, previous claims, ambitious settlers with limited funds, town/family groups, and pure capitalist profit motives were at work by the time the Richmond/Lenox land deal came together.